oaksrusty (7 months ago) Inappropriate? MDAGA Making Digital Art Great Again! While the rest of us MAGA! Nice job. Haters gonna hate. Catweazle (10 months ago) Inappropriate? hi, could you please create a Recep Tayyip too? Then i would have all evil of the world in my content. fcabanski (1 year ago) Inappropriate? That hair isn't much of a Trump hair. 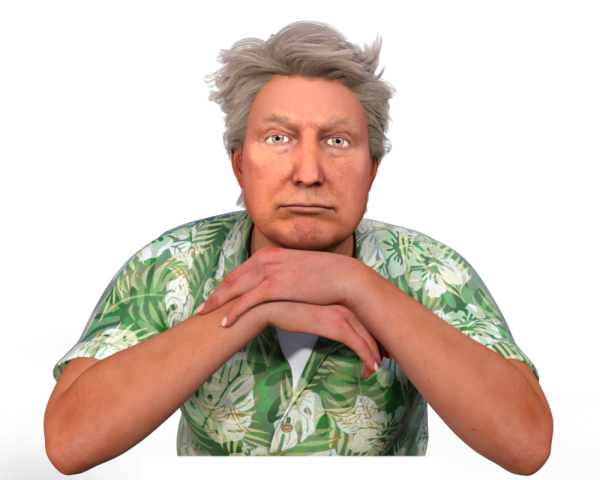 Any idea where to find a good Trump hair? Another gem of a character. Well done. You have mastered face gen very well! jagrogan (1 year ago) Inappropriate? This morph also reminds me of Boris Yeltsin. StarLite Moon (1 year ago) Inappropriate? kazemora (1 year ago) Inappropriate? How and what program are you using to make these textures? cnile (1 year ago) Inappropriate? This is terrific, as is Vlad, and 'Lil Kim turned out to be extremely useful, as well. Barack is spot-on, I use him a lot. Could you PLEASE do Hillary? Better yet, a certain news anchor that appeared to be tanked on Election Night? datemen (1 year ago) Inappropriate? Best one yet..lol thanks my friend. Thanks for your kind words. And guy91600, i think he can better make coins (money) than quacks. connatic (1 year ago) Inappropriate? Thank you very much! Fantastic work. AstReiner (1 year ago) Inappropriate? Many thanks for sharing your wonderfull characters.